Anwendungszentrum Oberpfaffenhofen GmbH (AZO) aims to find and support aerospace-related innovations. Since its founding in 2004 as an incubator of the German Aerospace Center (Deutsche Zentrum für Luft und Raumfahrt – DLR) together with the Bavarian Ministry of Economic Affairs, the institution has helped young entrepreneurs establish their business ideas in the market. 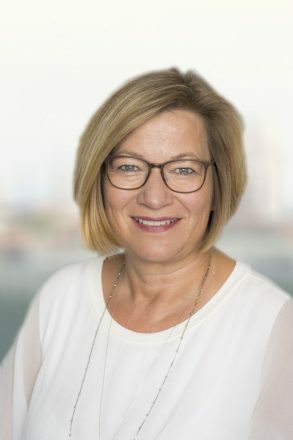 Stefanie Herrmann, CFO at AZOTo find out how AZO can help startups, we were able to talk with Stefanie Herrmann, CFO at AZO. What does the market have to offer? The first question that comes up is: Are there even that many aerospace-oriented business ideas? “There are a lot more than you might think,” said Herrmann. The target group is not as limited as it may seem, and the sectors are varied. A key component is technology scouting, and another is the pan-European innovation network. 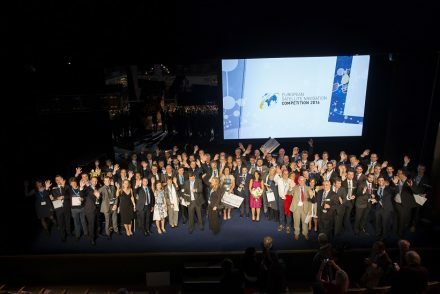 To find out what kind of innovation the market currently has to offer, AZO coordinates innovation competitions such as the European Satellite Navigation Competition (satellite navigation), Copernicus Masters (earth observation) and the Service Robotic Masters. Europe-wide hackathons are also included, such as the Space App Camps. In previous years, more than 10,000 participants took part in the idea competitions. The best ideas are evaluated by partners and experts in the network. The ideas that make the cut advance either to the ESA BIC Incubator, or to the Copernicus Accelerator, specifically for earth observation. This gives startups access not only to customers in the industry, but also to the largest innovation network in Europe for this area, with more than 25 partner regions and over 200 experts to provide mentoring. AZO also offers support for obtaining financing, such as Horizont 2020. 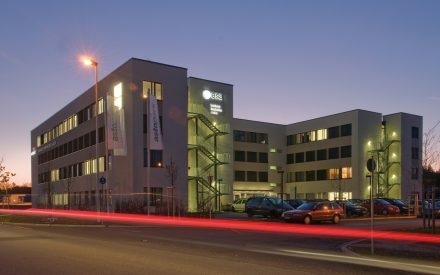 Startups stay in the ESA Business Incubation Centre (BIC) Bavaria for a minimum of one year, and for two years at most. The objective is to make the company “market ready.” The incubator helps startups develop technology, prepare proprietary rights, build prototypes and ultimately get their product ready for the market. To do so, the Free State of Bavaria and the European Space Agency (ESA) provide a grant totaling 50,000 euros without taking a share of the company. These funds can also be used for general purposes such as creating websites or marketing materials. AZO also offers assistance in finding unconventional working spaces. The Center itself has normal office spaces without any laboratory infrastructure; however, the startups can also use the test facilities at DLR. were a few specialties mentioned by Herrmann. The startups at ESA BIC Bavaria truly have varied backgrounds: the founders are a very international group, with applications coming from Spain, England and France. Some come “from outside” through competitions (such as the Baystartup Business Plan Competition) or by means of recommendation. This might be directly from a university or a professional setting, while others come from research centers such as DLR or Fraunhofer, which are also partners with AZO. “There are so many treasures that deserve to be unearthed,” said Herrmann. ESA BIC Bavaria is there to help get ideas ready for the market so they can meet commercial demands. It is important to make sure the center understands the business model and that the relationship to aerospace in the business idea is clear. Also, the AZO team might be able to help during the application process, if necessary. After a startup has successfully completed the two-step application process and the evaluators have given it a green light, it is then time to move into the ESA BIC Bavaria Incubator. The ESA BIC Bavaria Incubator in Oberpfaffenhofen supports teams for a period of one to two years. ment of their product. Firthermore, they offer regular meetings, assistance with questions about financing or winning over markets and customers, as well as custom-tailored matchmaking opportunities. In addition to individual mentoring by experts, they also offer coaching on topics such as proprietary rights, certification, acquisition of external capital and pitch training. Team structure. After all, it is not enough to have a brilliant idea if you do not have anyone who can sell it. A problem and customer-oriented focus: I can only sell something if I have a customer with problem I can solve and who is ready to spend money on that solution. 90% is enough. What use is amazing technology that can do way more than is asked for – and that is also too expensive? And the main cause of failure? “A lack of focus coupled with excess perfectionism,” said Herrmann. She is referring to startups that go out and hear from their customers, ‘Could you just add a few more features to make it perfect for me?’. This is where AZO comes in to bring them back down to earth. Even after startups have left the incubator, AZO keeps in contact with them. Many remain nearby and look for new office space in the area. Why? When looking for solutions, the industry often approaches AZO – and then the center is able to recommend a suitable startup. The AZO team includes 20 employees. One of AZO’s many activities is organizing the awards ceremony for competitions such as ESNC – which is also a great opportunity to get to know the team. More than 115 startups have been part of the ESA BIC Bavaria Incubator, and the European network includes more than 400 members. A survival rate of 89% after a five-year period illustrates the high level of success of startups from the incubator. More than 1,600 high-tech jobs have been created there, and the startups generate an annual turnover of more than 140 million euros. 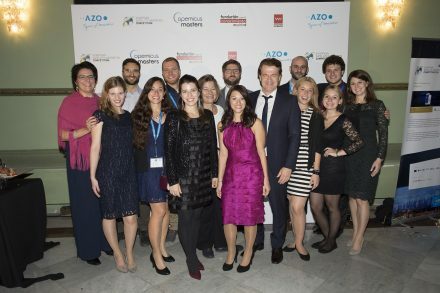 All the while, AZO has its own and very strong network of business angels, in addition to good connections with other financing networks such as BayStartUP, the Business Angels Netzwerk Deutschland e.V. (BAND), the European Business Angel Network EBAN, and many more.